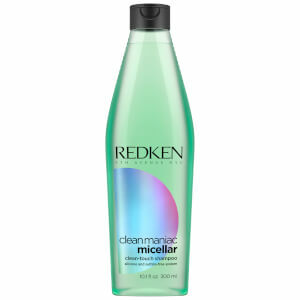 30% off % PLUS receive a FREE Redken full sized gift when you spend £40. Achieve salon-worthy results with Redken Brews Men's Work Hard Molding Paste; a high hold formula that combines unrivalled pliability with maximum staying power. Infused with polystretch fibres, the non-greasy paste allows you to create your desired style with ease; it adds texture and definition, whilst delivering firm, yet flexible control with a natural finish. 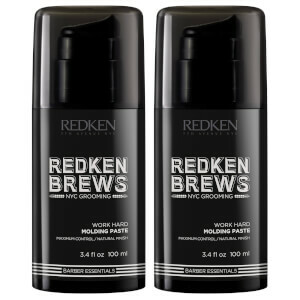 Includes: Redken Brews Men's Work Hard Molding Paste (2 x 100ml).